The Friends of Clyde River are planning another pancake breakfast this Fall on November 16th, and we are looking for volunteers. There will be an organizing meeting this coming Monday, October 27th, 7:00 p.m. at the Riverview Community Centre. The purpose of the organizing meeting is to bring together community members who are willing to help out with the event. Our hope is to spread responsibilities around, so that many folks have manageable, specific jobs and no one is asked to take on too large a role. We will need volunteers to help out in the kitchen, in the dining room and at the door. We will also need help ahead of time with publicity, ticket sales or donations. Our goal is to have everyone who wants to help to find something they are comfortable with. Thelma Gillespie will once again provide great leadership to the volunteers in the kitchen. 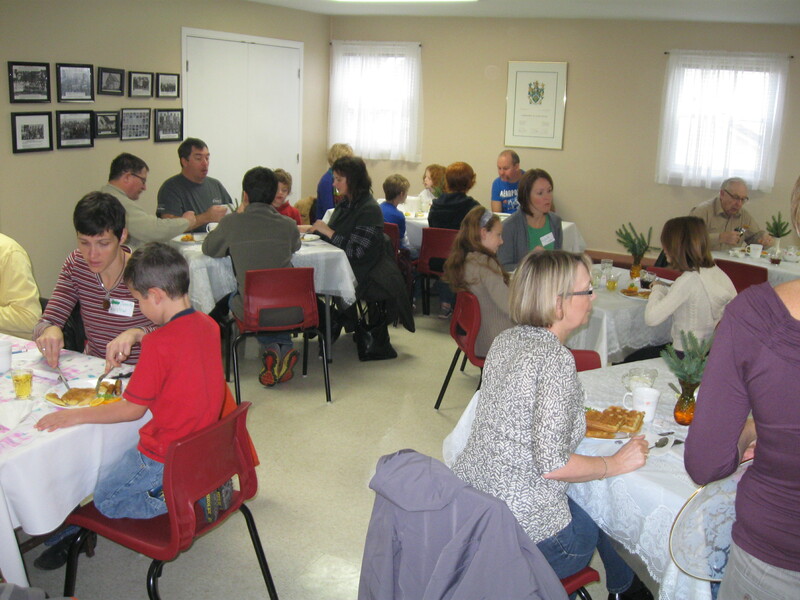 The #1 purpose of the breakfast is to bring people together in fellowship for some good food and conversation. We encourage all volunteers to attend on Monday evening, so we can ensure we have a great team in preparing for this event. If you have any questions, please email Bruce Brine at clyderiver.cic@pei.sympatico.ca.